Nashville, TN—December 11, 2018 | Concord Music, the worldwide independent leader in music publishing, today announces a new global long-term publishing deal with international hit maker, artist and producer, Mark Ronson. 2018 has been a tremendous year for the British born, LA based musician. A master of true diversity, Ronson has received both critical and commercial success with both his solo and collaborative projects. This summer as a member of the duo Silk City alongside Diplo, their collaboration with Dua Lipa spawned the worldwide smash Electricity; in October Ronson reached #1 on the Billboard Top 200 album chart and #5 on the Billboard Hot 100 for his songwriting and production work with Lady Gaga and Bradley Cooper on the soundtrack for the worldwide box office hit, A Star Is Born, alongside lead single Shallow. To round off the year Ronson’s work has resulted in a heap of Grammy nominations at the 2019 Awards – Shallow (Record Of The Year, Song Of The Year, Best Song Written For Visual Media); Electricity (Best Dance Recording). On the heels of releasing these collaborative hit tracks, Ronson also returned this month with a brand-new single of his own, Nothing Breaks Like A Heart, featuring Miley Cyrus – the first single from his forthcoming studio album coming in 2019. 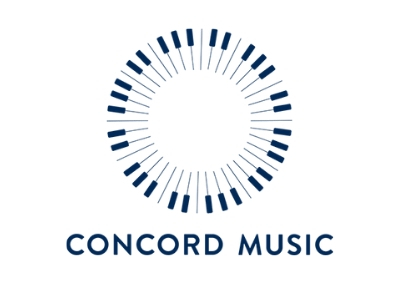 The new deal with Concord continues his long-term creative relationship with Concord Music EVP Worldwide Creative, Kim Frankiewicz. Commenting on the deal Frankiewicz says, “Mark is without doubt a creative that is without equal – he is also one of the nicest guys in the business to work with! His ability to seamlessly transcend genres and artists makes him both an incredibly exciting as well rewarding artist to work with. With Mark no idea is ever off the table, a true artist that is acclaimed for his instinctive ability to create songs and music that connect with a multitude of audiences. Ronson’s discography reads as a who’s who of pop culture. As a Brit Award and five-time Grammy ® Award winning artist, he is the go-to producer who has worked with iconic artists such as Amy Winehouse, Paul McCartney, Lady Gaga, Adele, Lorde, and so many more.